Eye on Womens Boxing Duer Stops Scaranello – Last night in Quilmes, Argentina, an interim version of the IBF world female bantamweight title was disputed between Carolina Raquel Duer (18-3-1) and Aline de Cassia Scaranello (10-4). The fight was the main event of a five fight boxing card that aired on TyC Sports in Argentina. From the start, it was clear that Duer was the more skilled fighter, but Scaranello came out aggressive in the early going. Scaranello was coming forward and appeared to take punches in order to get inside and brawl. Though it took Duer a few rounds to adjust, she was able to settle in and establish her distance. By the third and fourth rounds, Duer was making itr very costly for Scaranello to come inside as she landed repeatedly to the Brazilian girl’s face. As the fight progressed, Scaranello started to run out of steam, but she was not able to alter her game plan. By round seven, Duer had broken through and was landing punches at will when the corner for Scaranello threw in the towel. Overall it was a strong performance for the veteran Duer, despite an opponent who was not on her level. Scaranello deserves credit for bringing the fight and remaining game, but she falls to 10-5 overall and 1-2 in 2016. Duer, a long-time holder of the WBO world titles at super flyweight and bantamweight, is now the interim IBF titleholder. Her record is now 19-3-1 as she has gone 17-0-1 since starting her career off going 2-3. At 38 years old, Duer is likely poised to face off against Chile’s Carolina Rodriguez, who is undefeated at 15-0 and currently holds the IBF’s full version of the world title. 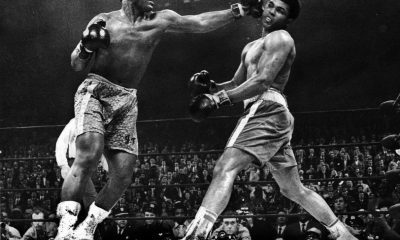 The undercard consisted of four and six round fights in the men’s categories. 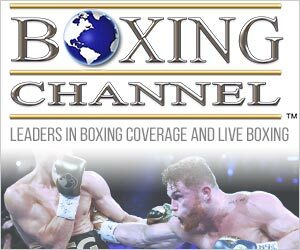 Eye on Womens Boxing Duer Stops Scaranello / Check out more boxing news and videos at The Boxing Channel. 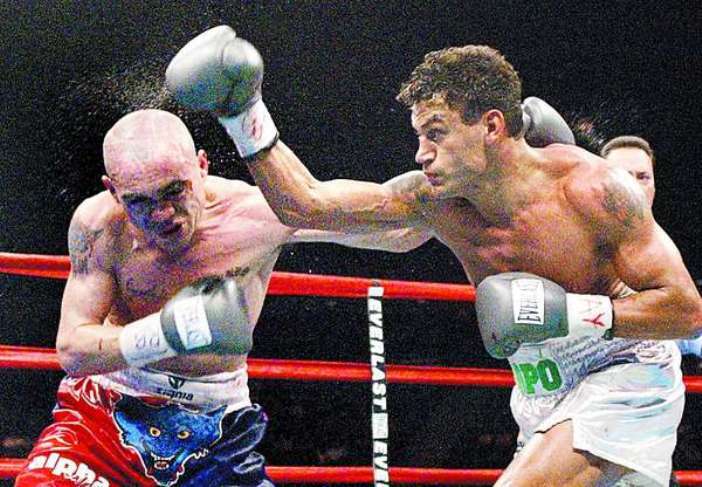 When WBA/WBO super featherweight champion Acelino “Popo” Freitas met Jorge Rodrigo “Il Hiena” Barrios in Miami on August 8, 2003, there was more on the line than just the titles. This was a roughhousing 39-1-1 Argentinian fighting an equally tough 33-0 Brazilian. The crowd was divided between Brazilian fans and those from Argentina. To them this was a Mega-Fight; this was BIG. 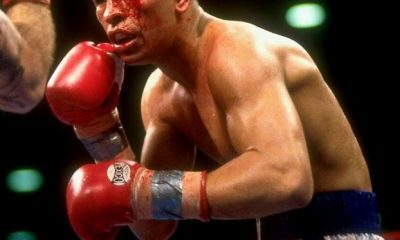 When Acelino Freitas turned professional in 1995, he streaked from the gate with 29 straight KOs, one of the longest knockout win streaks in boxing history. 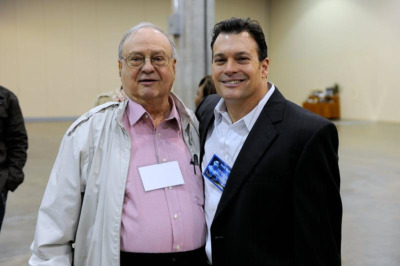 He was fan-friendly and idolized in Brazil. Barrios turned professional in 1996 and went 14-0 before a DQ loss after which he went 25-0-1 with 1 no decision. The wild swinging “Hyena” literally turned into one as he attacked from the beginning and did not let up until the last second of the eleventh round. Barrios wanted to turn the fight into a street fight and was reasonably successful with that strategy. It became a case of brawler vs. boxer/puncher and when the brawler caught the more athletic Popo—who could slip and duck skillfully—and decked him with a straight left in the eighth, the title suddenly was up for grabs. The Brazilian fans urged their hero on but to no avail as Barrios rendered a pure beat down on Popo during virtually the entirety of the 11th round—one of the most exciting in boxing history. Freitas went down early from a straight right. He was hurt, and at this point it looked like it might be over. Barrios was like a madman pounding Popo with a variety of wild shots, but with exactly one half of one second to go before the bell ending the round, Freitas caught La Hiena with a monster right hand that caused the Hyena to do the South American version of the chicken dance before he went down with his face horribly bloodied. When he got up, he had no idea where he was but his corner worked furiously to get him ready for the final round. All he had to do was hang in there and the title would change hands on points. Later, Freitas tarnished his image with a “No Mas” against Diego Corrales, but he had gone down three times and knew there was no way out. He went on to claim the WBO world lightweight title with a split decision over Zahir Raheem, but that fight was a snoozefest and he lost the title in his first defense against Juan “Baby Bull” Diaz. Freitas looked out of shape coming in to the Diaz fight and that proved to be the case as he was so gassed at the end of the eighth round that he quit on his stool. This was yet another shocker, but others (including Kostya Tszyu, Mike Tyson, Oscar De La Hoya and even Ali) had done so and the criticism this time seemed disproportionate. Popo had grown old. It happens. Yet, against Barrios, he had proven without a doubt that he possessed the heart of a warrior. The Brazilian boxing hero retired in 2007, but came back in 2012 and schooled and KOd the cocky Michael “The Brazilian Rocky” Oliveira. 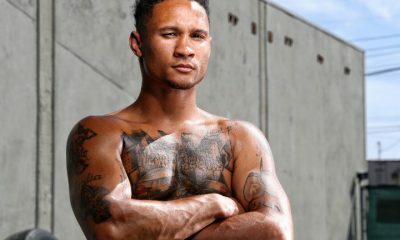 He won another fight in 2015 and though by now he was visibly paunchy, he still managed to go 10 rounds to beat Gabriel Martinez in 2017 with occasional flashes of his old explosive volleys. These later wins, though against lower level opposition, somewhat softened the memories of the Corrales and Diaz fights, both of which this writer attended at the Foxwoods Resort in Mashantucket, Connecticut. They would be his only defeats in 43 pro bouts. Like Manny Pacquiao, Freitas had a difficult childhood but was determined to make a better life for himself and his family. And, like Manny, he did and he also pursued a career in politics. Whether he makes it into the Hall will depend on how much a ‘No Mas’ can count against one, but he warrants serious consideration when he becomes eligible. As for the Hyena, on April 8, 2005, he won the WBO junior lightweight title with a fourth round stoppage of undefeated but overweight Mike Anchondo. In January 2010 he was involved in a hit and run accident in which a 20-year-old pregnant woman was killed. On April 4, 2012 Barrios was declared guilty of culpable homicide and sentenced to four years in prison. He served 27 months and never fought again, retiring with a record of 50-4-1. Ted Sares is one of the oldest active full power lifters in the world. A member of Ring 10, and Ring 4’s Boxing Hall of Fame, he was recently cited by Hannibal Boxing as one of three “Must-Read” boxing writers. Adjoining states in the west host a number of boxing cards including a world title contest that features a newcomer who, before knocking out a world champion, was erroneously categorized by a Nevada official as unworthy of a title challenge. Back in April when middleweight titan Gennady “GGG” Golovkin was seeking an opponent to replace Saul “Canelo” Alvarez who was facing suspension for performance enhancement drug use, it was the 21-year-old from Tijuana who volunteered his services for a May 5th date in Las Vegas. 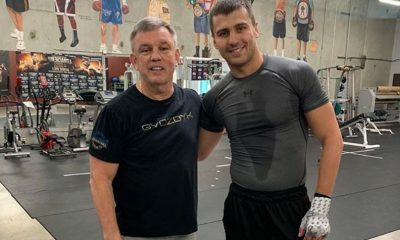 Bob Bennett, the Executive Director for Nevada State Athletic Commission, denied allowing Munguia an opportunity to fight Golovkin for the middleweight titles. 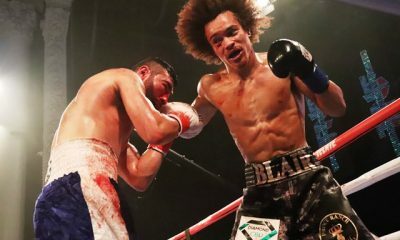 Bennett claimed that the slender Mexican fighter had not proven worthy of contesting for the championship though the tall Mexican wielded an undefeated record of 28 wins with 24 coming by knockout. To be fair, Bennett has seen many fighters in the past with undefeated records who were not up to challenges, especially against the likes of Golovkin. But on the other hand, how can an official involved in prizefighting deny any fighter the right to make a million dollar payday if both parties are willing? 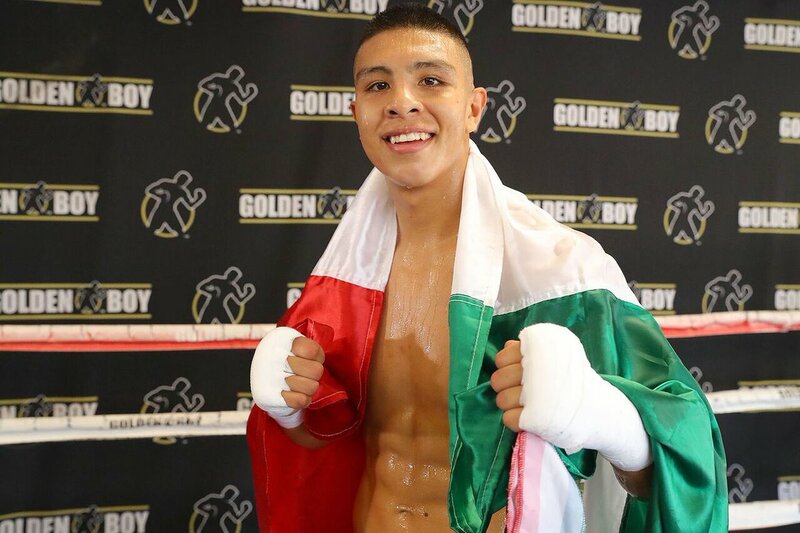 Munguia stopped by Los Angeles to meet with the media last week and spoke about Bennett and his upcoming first world title defense. He admitted to being in the middle of a whirlwind that is spinning beyond his expectations. But he likes it. 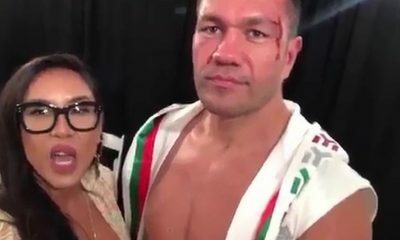 When asked how he felt about Nevada’s denying him an attempt to fight Golovkin, a wide grin appeared on the Mexican youngster. That reason is clear now. Two months ago Munguia put on a frightening display of raw power in knocking down then WBO super welterweight titlist Sadam Ali numerous times in front of New York fans. It reminded me of George Foreman’s obliteration of Joe Frazier back in the 1970s. World champions are not supposed get battered like that but when someone packs that kind of power those can be the terrifying results. Still beaming over his newfound recognition, Munguia has grand plans for his future including challenging all of the other champions in his weight category and the next weight division. The first step toward history begins on Saturday when he faces former world champion Smith who was dethroned by another Mexican named Canelo. It’s not getting a large amount of attention in my neighborhood but this unification clash between WBA and IBF cruiserweight titlist Murat Gassiev (26-0, 19 KOs) and WBC and WBO cruiserweight titlist Oleksandr Usyk (14-0, 11 KOs) has historic ramifications tagged all over it. The first time I ever saw Russia’s 24-year-old Gassiev was three years ago when he made his American debut at the Quiet Cannon in Montebello. 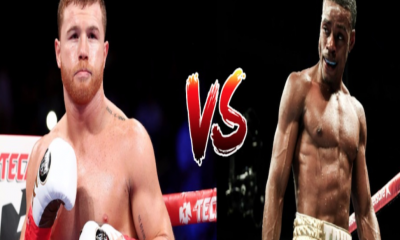 It’s a small venue near East L.A. and the fight was attended by numerous boxing celebrities such as James “Lights Out” Toney, Mauricio “El Maestro” Herrera and Gennady “GGG” Golovkin. One entire section was filled by Russian supporters and Gassiev did not disappoint in winning by stoppage that night. His opponent hung on for dear life. 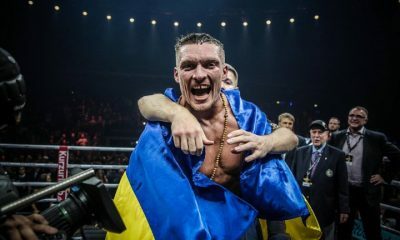 Ukraine’s Usyk, 31, made his American debut in late 2016 on a Golden Boy Promotions card that staged boxing great Bernard Hopkins’ final prizefight. That night the cruiserweight southpaw Usyk bored audiences with his slap happy style until lowering the boom on South Africa’s Thabiso Mchunu in round nine at the Inglewood Forum. The sudden result stunned the audience. Now it’s Gassiev versus Usyk and four world titles are at stake. The unification fight takes place in Moscow, Russia and will be streamed via Klowd TV at 12 p.m. PT/ 3 p.m. ET. Seldom are cruiserweight matchups as enticing to watch as this one. A couple of significant fights took place last weekend, but Manny Pacquiao’s knockout win over Lucas Matthysse for the WBO welterweight world title heads the list. Neither fighter looked good in their fight in Malaysia but when Pacquiao floored Matthysse several times during the fight, it raised some red flags. The last time Pacquiao knocked out a welterweight was in 2009 against Miguel Cotto in Las Vegas. Since then he had not stopped an opponent. What changed? In this age of PEDs there was no mention of testing for the Pacquiao/Matthysse fight. For the curiosity of the media and the fans, someone should come forward with proof of testing. Otherwise any future fights for the Philippine great will not be forthcoming.